In case you missed it during Super Bowl LIII, the NFL released a special commercial featuring many prominent players from its history as the league gets ready for its 100th anniversary in 2019. Earlier this week, the Patriots shared behind the scenes footage of Tom Brady and Rob Gronkowski’s filming for the spot. 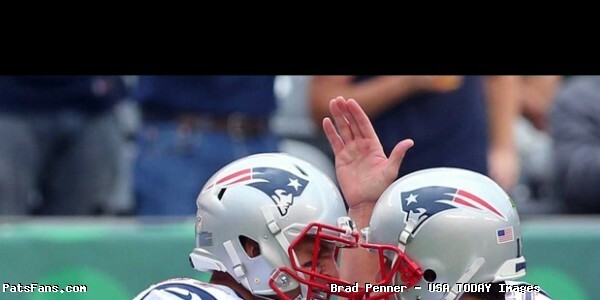 Check out some of Brady and Gronks acting below, including a bonus look at Brady’s five real Super Bowl rings he brought for taping. Behind the Scenes of the #NFL100 commercial. Brady & Gronk's part. 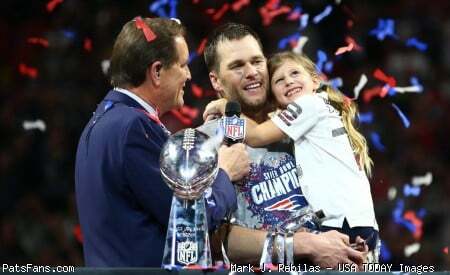 This entry was posted in 2019 Patriots Offseason, Patriots Twitter, Patriots Video, Super Bowl LIII and tagged NFL 100, Rob Gronkowski, Tom Brady on March 9, 2019 by Robert Alvarez.